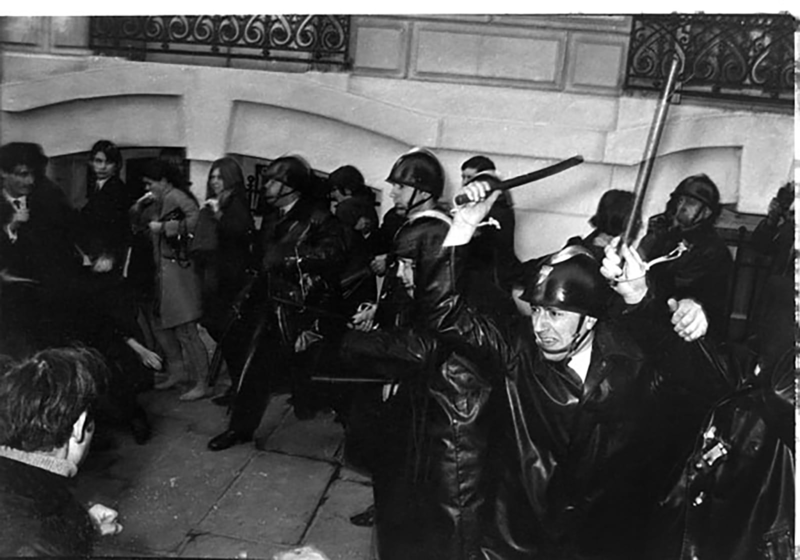 Like every other aspect of French society, the movies were shaped by the generative force of May 1968’s mass uprising. Seven to ten million people went on strike that spring, joining together for a spate of protests and shutdowns that saw long-standing calls for radical social change catapulted from the margins of French life to its center. While the postwar period had nurtured steadily growing currents of political resistance—a critique of consumer capitalism, an opposition to Western imperialism, battles for social equality and sexual liberation—it was in 1968 that these currents crystallized and intertwined. It wasn’t simply the Gaullist regime that was called into question at this time; it was modern life as a whole. May has become a kind of shorthand for this spirit of discontent, but the crisis was so deep, and so real, that it reached well beyond the month’s four-week remit. Coming to terms with its impact on cinema means working outward from the spring and tracing the stalks and branches of the unrest as they reached through that fall and winter and into the years that followed. The lion’s share of our visual imaginary of these events was produced outside the industry. Film historian Sébastien Layerle notes over 180 shorts and features—documentaries and fiction, puppet theater and Gaullist propaganda—made by political parties, leftist collectives, professionals, and hobbyists in the late sixties and early seventies. The strikes and demonstrations led to a golden age of radical filmmaking that stretched into the following decade, increasing access to equipment and opening up new channels of funding and distribution. The vital films that came out of this period are a mine of ideas, feelings, and techniques, and the issues they explore remain at the bedrock of our everyday lives: work (Bruno Muel’s brutal factory portrait Avec le sang des autres, from 1974), health and sexuality (the incredible abortion-rights/home-birth feature Regarde, elle a les yeux grand ouverts, by Yann Le Masson and MLAC, from 1980), and solidarity with others (Carole Roussopoulos’s feminist strike video Christiane et Monique: Lip V, from 1976) among them. But it wasn’t just radical filmmaking that felt the shock waves of May ’68. In short order, political issues and social commentary began drawing large and receptive audiences within commercial cinema, where they provided the narrative basis for films as different as Costa-Gavras’s coup d’état procedural Z (1969) and Claude Sautet’s velvet-lined melodrama The Things of Life (1970). The strain of late-sixties French filmmaking that we’re most familiar with in the U.S., the auteurist current, lies somewhere between the militant and commercial poles. Jean-Luc Godard and Chris Marker head underground, leaving their professional careers behind for collective projects (the Ciné-Tracts initiative, the Dziga Vertov Group, SLON) that are as dedicated to the struggles of the internationalist left as they are to bringing cinema’s conditions of production into sharper focus. Parallel to this, the egalitarian convictions that were essential to May pervade experimental fictions like Agnès Varda’s Lions Love (. . . and Lies) (1969), Jacques Rivette’s L’amour fou (1969), and Philippe Garrel’s La concentration (1968). While these films are not openly militant, their reliance on collaborative processes associated with Direct Cinema in France offers its own kind of formal politics, one dedicated to subverting the authority of the director; fostering exchange among filmmakers, crew, and subjects; and drawing attention to the camera’s role in the creation of meaning. Questions about politics—what this word meant, whom it concerned, where it started and stopped—shaped all sectors of film production in the late sixties and were almost immediately tied to competing aesthetic styles. At one extreme, we find an understanding of political cinema grounded in what scholar Paul Douglas Grant calls “wildcat naturalism,” an immediate push toward documentation and testimony that was crucial in an era of state-controlled media. At the other is a more distanced, anti-illusionist approach that calls attention to the gap between art and life. While much of the work from this period navigates between these poles, there is one film that brings the extremes together in a particularly revelatory way. Though underacknowledged in the U.S., The Return to Work at the Wonder Factory remains one of the emblematic ’68 films in France, offering both a sharp-edged impression of its time and a decisive contribution to ongoing debates within cinema. A ten-minute portrait of the end of a strike at one of France’s largest battery manufacturers, this vérité document manages to distill and clarify the tremendous cultural sea change that was taking place across the country that spring. It does this in the space of a single shot, a searching, hectic record of the fight that breaks out when one female worker refuses to follow orders. Through inspiration and almost miraculous luck, the filmmakers reconcile a political argument with a radical form of nonintervention; as the long take unfolds, the social concerns of militant documentary and the aesthetic tensions within auteurism dovetail and cohere. Wonder started as a sequence in a much longer feature, a documentary about the Trotskyist avant-gardes backed by the newly radicalized members of L’institut des hautes études cinématographiques (IDHEC), France’s national film school. The project was an initiative of graduating cinematographer Jacques Willemont, who was put in touch with a member of Wonder’s strike committee once production was under way. 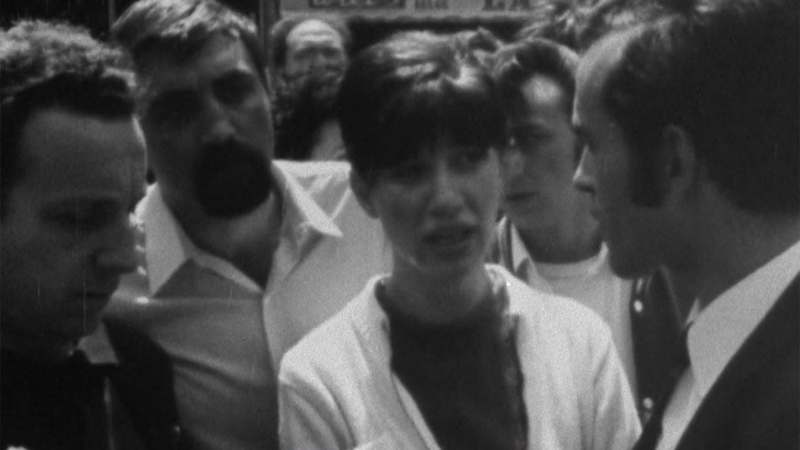 On June 10, 1968, Willemont, Pierre Bonneau (on camera), and Liane Estiez (on sound) arrived at the company’s factory headquarters just north of Paris and were surprised to learn that the employees had just voted to end the strike. Amid swirling rumors of intimidation and vote suppression, the team turned its camera on the assembled crowd and filmed their final moments of independence. As critic Serge Le Péron noted, what we see is essentially Workers Leaving the Lumière Factory (the French film often referred to as the first motion picture ever made) in reverse, seventy-three years later. Though Willemont’s larger project never saw the light of day, the reel of film the crew left with that day was too powerful and too relevant to hold back. An establishing shot was tacked on, some narration dubbed in, and IDHEC had prints in circulation at strike actions, meetings, and teach-ins before the month was out. 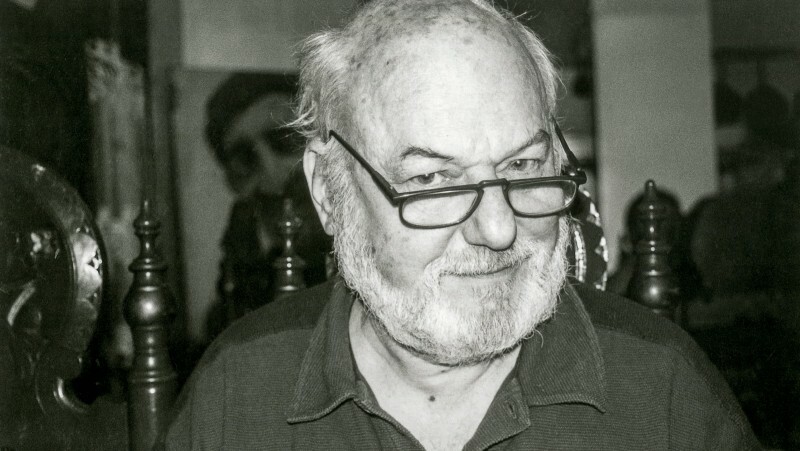 The resulting work was instantly recognized as an essential document of the spring uprising; in Cahiers du cinéma, Jacques Rivette called it “the only interesting film about the events, the only really strong one I saw.” In the years that followed, it became a mainstay of discussions of the period, notably inspiring a pivotal follow-up documentary, Hervé Le Roux’s Reprise (1996), whose sprawling, after-the-fact investigation into the lives of Wonder’s protagonists provided a necessary complement to the earlier film’s concentrated action. When Wonder opens, the idea that the strike is over has not completely sunk in for many of the workers. We see two male delegates from the union that negotiated the vote surrounding a young woman in tears, and it is her fury that provides the film with its moral center: “No, I won’t go back,” she shouts. “I will not go back in! I’ll never set foot in that prison cell again.” We can measure how dangerous her anger seems by how quickly the men move to contain it. The gendered conflict is typical of a time in which, as film scholar Hélène Fleckinger has suggested, the rhetoric of revolutionary equality was held back by the sexism of the culture as a whole. Wonder’s protagonist does not back down, and it is her refusal to concede her political point—that returning to work under these conditions is a mistake—that made her a powerful symbol of resistance, one that resonated with the battle for practical emancipation that would be taken up a few months later by a newly founded MLF, France’s women’s liberation movement. Although feminist struggle and class struggle overlap in Wonder, the film becomes harder to grasp when this overdetermination is made visible: what does it mean if the image of a woman quieted by men is also that of a worker being silenced by her union? The question brings us to the heart of the May unrest, for it’s at this moment that the authority of figures and organizations that had traditionally spoken on behalf of others—men, unions, political parties, the family, the church—was massively challenged by marginalized voices who began expressing themselves directly, outside of institutional channels. In this regard, at least, the situation of women was similar to that of the working class. In the broadest political sense, what was actually shaken in 1968 was the notion of the representative. On a political level, Wonder depicts this crisis of representation, a seizing of the social gears that splintered ties between delegates and constituents. The film’s originality lies in the bond it forges between politics and aesthetics. A similar crisis is also unfolding at the level of the image, and here as well we see something breaking down. 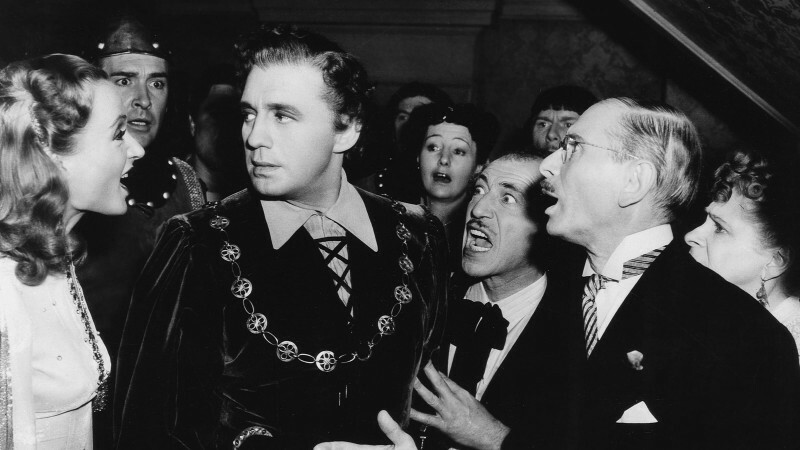 The meaning of the film’s long take is as unstable as the power relations between the characters. Initially, Wonder’s radical real-time presentation of things “as they happened” seems profoundly immediate: there is no plan, no script, no actors, just an ever-shifting landscape of voices and bodies in contact with one another. At the same time, as Layerle has argued, it is impossible to know whether the camera is recording the events or summoning them. 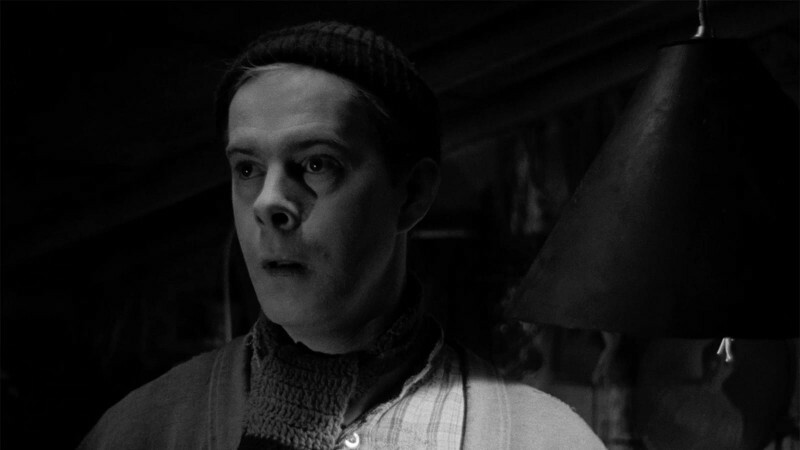 Willemont, Bonneau, and Estiez inevitably shape the events they film, giving them a beginning, middle, and end through the duration of the shot. This unified structure clarifies the events and heightens their drama, lending the raw document of a return to work the coherence of classical tragedy. On-screen, the anonymous protagonists are transformed into something larger themselves. They appear both as individuals and as incarnations of social types that were eminently recognizable in late-sixties France: the Factory Worker, the Union Delegate, the Leftist Student, the Personnel Manager. 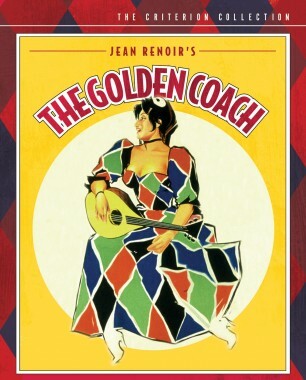 This ten-minute short is as close as militant cinema ever came to remaking Jean Renoir’s The Golden Coach (1953), a film about a troupe of traveling commedia dell’arte players that is also organized around the tension between social role and individual subjectivity, and whose central question—where does the theater end and life begin?—is just as relevant to the footage shot outside the battery factory in Saint-Ouen. 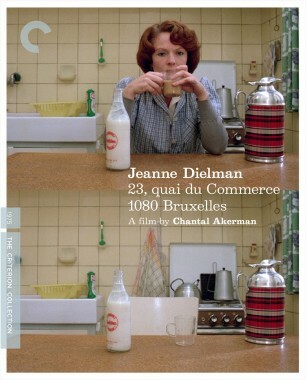 It’s even not too much of a stretch to see the film’s politicized variation on commedia dell’arte as a radical, factory-centered counterpart to Jeanne Dielman, 23 quai du Commerce, 1080 Bruxelles (1975), the version Chantal Akerman might have made had she shot her film in 1968, by chance with complete strangers in just over ten minutes. 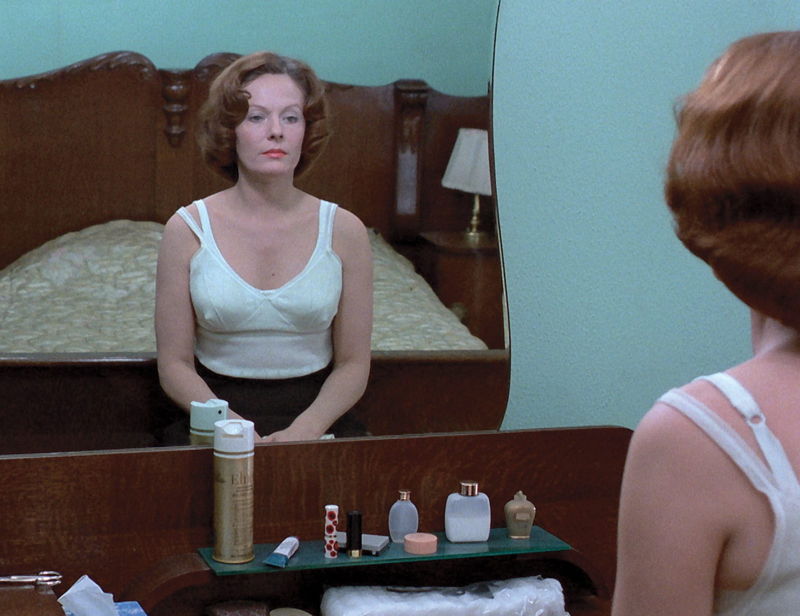 Where Dielman uses long-duration, fixed-camera shots to give material weight to its Delphine Seyrig–led melodrama, Wonder works from the opposite direction, allowing the figures and crisis structures of melodrama to emerge from actual events. In both cases, the effect is the same: the undecided status of the representation, its unsettled combination of spontaneity and theater, gradually erodes the solidity of the on-screen world, overwriting the clarity of the realist image with faint outlines of the uncanny. By allowing the sync sound and handheld images of the vérité style to subvert their promise of direct access, Wonder connects with filmmaking practices that critic Serge Daney places at the heart of French cinema: “French auteurs always had this way of keeping, together and disconnected, that is, united and separate, things which films from other countries would either bring together or disconnect. Between document and fiction, crude and coded, chance and system—between the raw and the cooked, in other words, there have always been short circuits, striking elisions, impurity.” Wonder’s sliding-scale merger of wildcat naturalism and Brechtian performance transcends the divisions of late-sixties French cinema, offering a rare point of intersection for militant and auteurist currents of formal experimentation. By uniting art and life, the film’s uncanny double image carries the promise, and the memory, of a dual revolution. Special thanks to Jacques Willemont, whose Vimeo page contains the complete Return to Work at the Wonder Factory and a trove of material about this period, including an account of his sabotaged feature Sauve qui peut Trotski, excerpts from the recovered footage, and L’autre mai, Nantes mai 68 (2008), a more recent documentary about experiments in revolutionary self-governance that took place outside of Paris that spring.